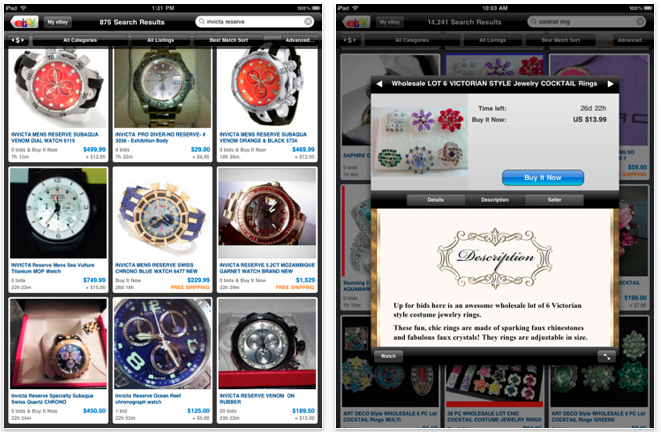 We do it now with an iPhone so we are REALLY looking forward to moving our eBay sales management over to the iPad! For actually posting your auctions directly from your iPad, the GarageSale app works quite well (called GarageSale Touch). We have used their desktop software for many years. 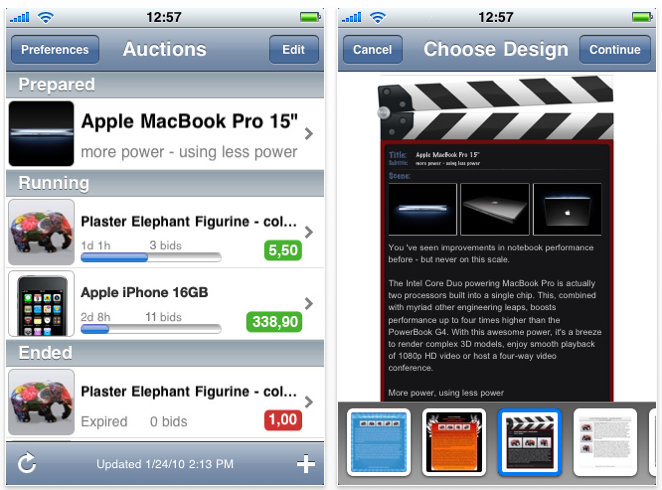 The old version of their app would let you set up a auction but to post it had to be synced to the desktop. 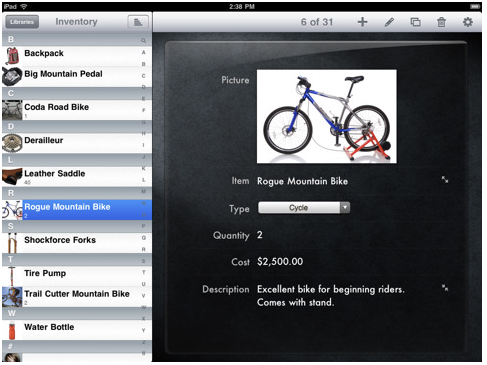 No more, you can choose your images, write your descriptions and even choose a template to upload directly from your iPad! To track our sales and profits, we put all of our products and related information into Bento (from the FileMaker Pro folks). It is super easy to set up data entry and reporting on your desktop, where we have all of the product particular so we know exactly what it cost to buy and ship, what it sold for, who to and what our profits are. Exporting that data once a year goes to our accountant. For the last year we have had that data at our fingertips via the iPhone app. Announced a couple days ago is a iPad version. They have done a great job of matching the desktop version and using the additional room that iPad gives us to work with. Most of the marketing for Bento is around it being a contact manager but since it is open to customize, you can collect and report on anything important to your eBay business. 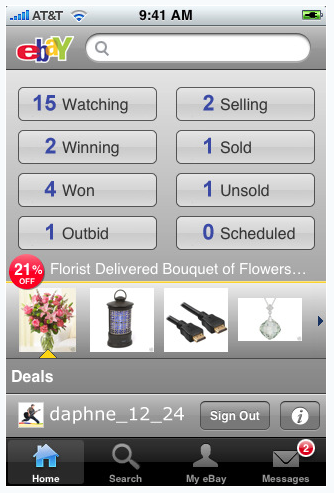 Selling and tracking your auctions is great to have completely mobile. 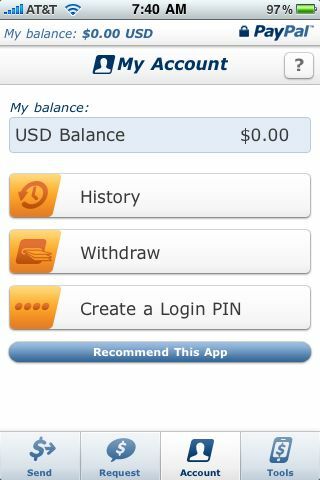 Since you wont be in business long unless you know how much money you actually have coming in, the PayPal app is another must have. The PayPal app is actually very robust. 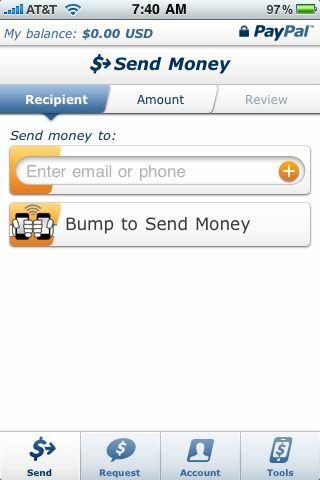 You can sent money, track your income/outgoing, share and pull your hard earned dollars. The app has the Bump technology licensed so if you want to split a dinner bill, you can bump your iPad with another and transfer dollars from one to another. We are looking forward to some of the antique malls and weekend garage sales get iPads so we can pay for our finds with a bump. One limitation right now is the lack of camera on the iPad. Two features we enjoy with the iPhone’s camera is the ability to snap a photo of the items to sell. Also, a app called RedLaser that allows you to use your iPhone camera to read barcodes – the app reaches out and checks prices listed for that item around you. No doubt the iPad of the future will have a camera, for now we will still use the iPhone camera then move the image to the iPad to do the heavy lifting of creating/tracking of our actual auctions.